Grace Newsom Cushman, a graduate of Oberlin College and the new England Conservatory, established the Junior Conservatory of Music at St. Johnsbury, Vermont in 1940. 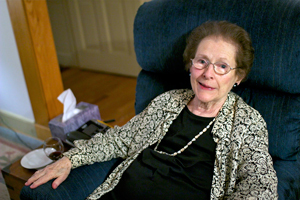 Over a period of twenty years, Mrs. Cushman developed a program for children from the first to the twelfth grade that she called “Musicianship”. 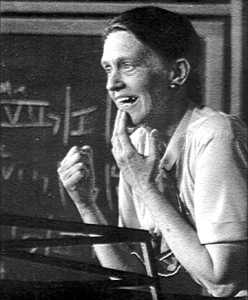 In the early fifties, Grace Cushman was hired by the Peabody Preparatory School to institute her creative Musicianship program as an alternative approach for learning music theory. She based this program on her then-developing course for children. Meanwhile she started the Junior Conservatory [summer] Camp at the Putney School in Vermont to provide a place for young musicians to further their musical skills and to create and hear their original music. Later in the sixties, Mrs. Cushman was invited by the Director of Peabody Conservatory to teach music theory to a select group of 12 undergraduates. Her class included two of the future co-founders of The Walden School, Pamela Layman Quist and David Hogan. Before Mrs. Cushman’s death in 1972, she told Lynn Hebden, the director of the Peabody Preparatory School, that she knew Pamela Layman [Quist] and David Hogan would carry on her work to teach and nurture Musicianship. Pam Layman Quist, David Hogan, and Lynn Hebden founded the Walden School in 1972 to continue the legacy of the Junior Conservatory. Many of the camp traditions of the Junior Conservatory were carried on, and Cushman Musicianship was the core curriculum. Pam, David, and Lynn hired many wonderful teachers and performers during those years, including two students of theirs at the Peabody Conservatory, Leo Wanenchak and Patricia Plude. 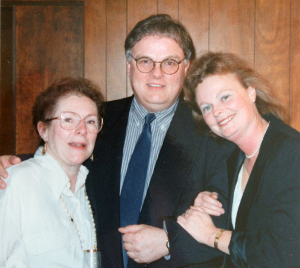 Patricia Plude eventually served as Executive Director and Leo Wanenchak became the Director of the Choral Program. While Plude was Executive Director, Walden School added Computer Musicianship to its core curriculum created and directed by renowned electronic composer, Tom Lopez. Bill Stevens, who started as a student at Walden, later joined the faculty and developed his unique Jazz Musicianship Course. Brooke Joyce also joined the faculty as a skilled composer and a talented teacher with a delightful sense of humor. Marshall Bessières, a software engineer, musician, and photographer, joined the faculty and received his training through the complete spectrum of the core Musicianship Course. The Walden School continues to host about 50 young student musicians who compose and hear their music performed every summer in Dublin, New Hampshire. 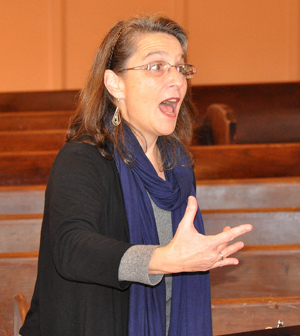 In 2004, Pam Quist started a pilot program of the Walden School Teacher Training Institute in order to disseminate Musicianship to a wider group of adult musicians and music teachers. 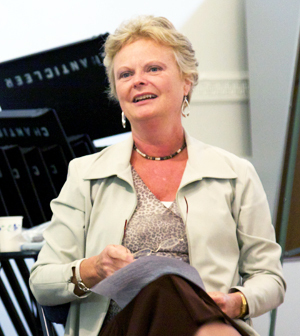 Patricia Plude became director of the program in 2005 and Pam Quist, Leo Wanenchak, Tom Lopez, Brooke Joyce, Bill Stevens, and Marshall Bessières joined as teaching faculty. Hundreds of aspiring and already established musicians and music teachers broadened their understanding of music and their pedagogy through TTI from 2004 – 2011. In 2013, Avivo is born to conserve, promote, develop, and spread Cushman’s concepts of creative integrated learning as originally presented in her innovative program for children, humbly and simply called “Musicianship.” Teaching Artists Patricia Plude and Pamela Quist serve as Director and Assistant Director, and are joined by Leo Wanenchak, Tom Lopez, Brooke Joyce, Bill Stevens, and Marshall Bessières, who bring their unique and considerable talents to Avivo.